What a good, happy feeling this tie evokes. 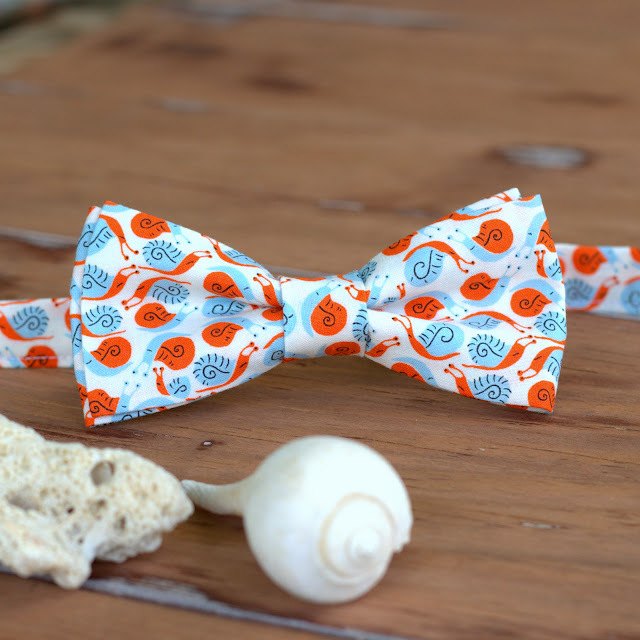 Created with Heather Ross' blue and orange snail print (from her Far Far Away line) this tie is filled to the brim with whimsy and character. Proof positive that bow ties are fun. 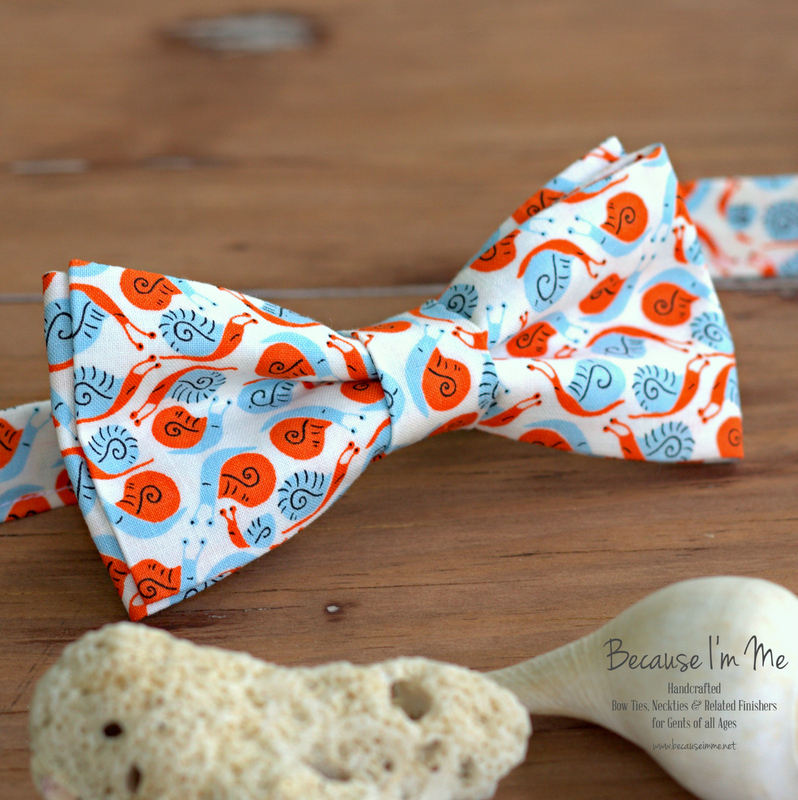 Available in very limited quantity for men, boys, and cats.